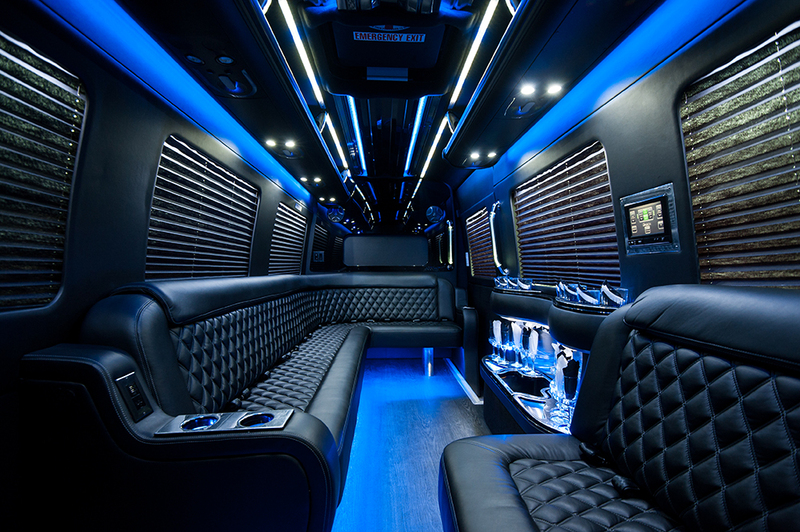 The Mercedes Sprinter offers a luxury limousine experience with the added comfortability of larger interior space than your traditional stretch limousine. 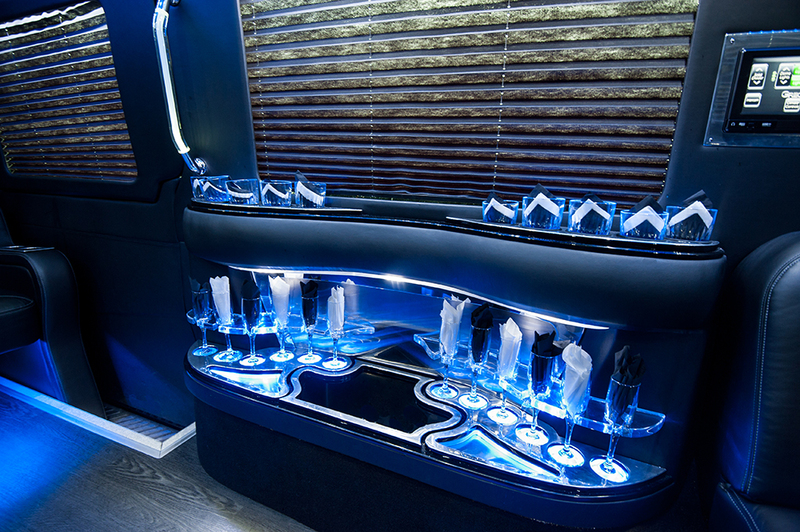 Loading and unloading is made easy with an entry step and ample space to stand upright in this vehicle. 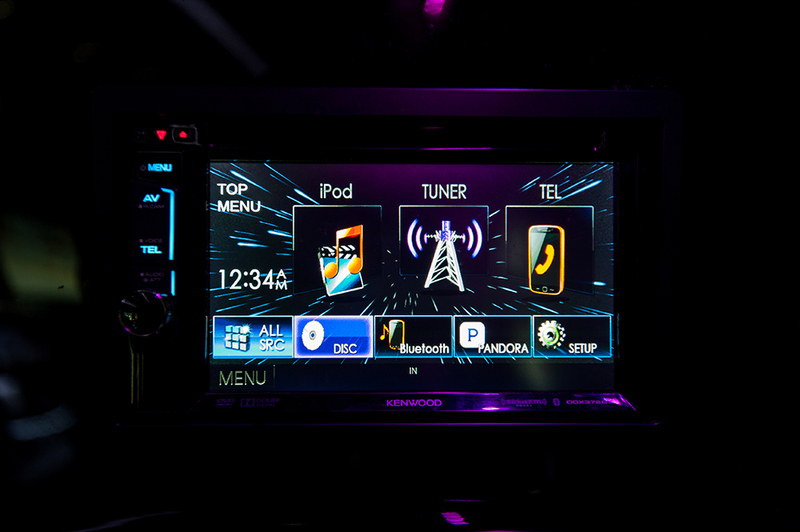 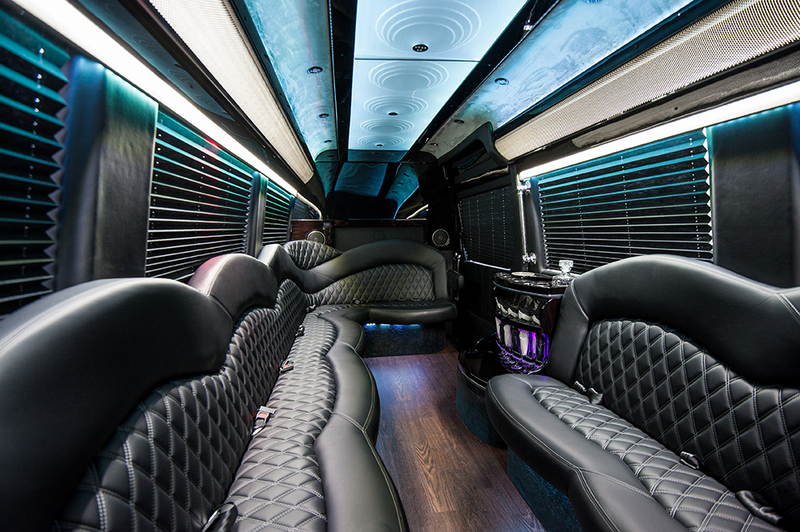 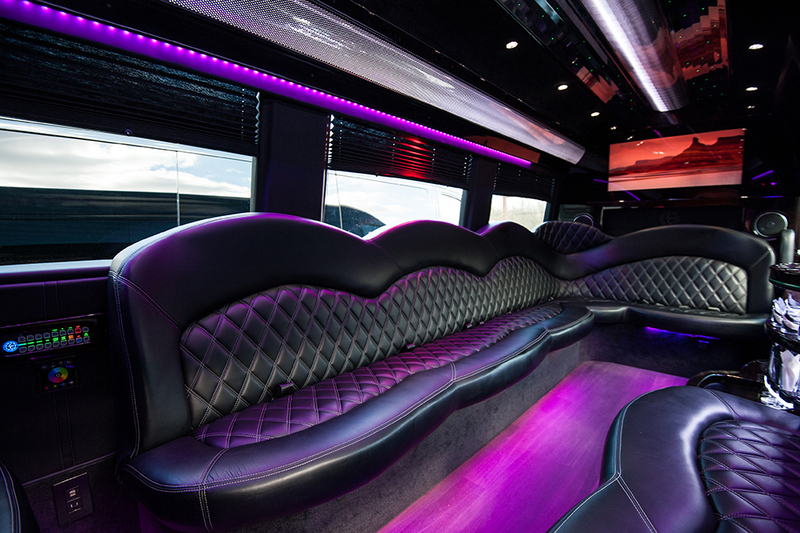 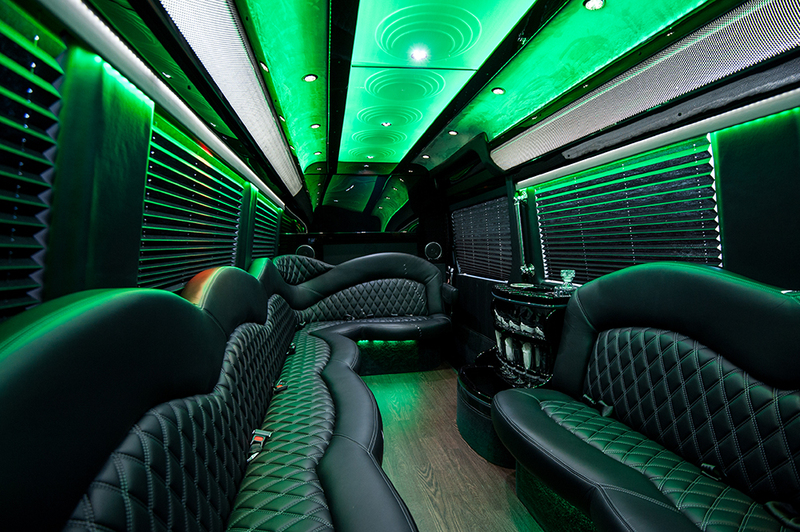 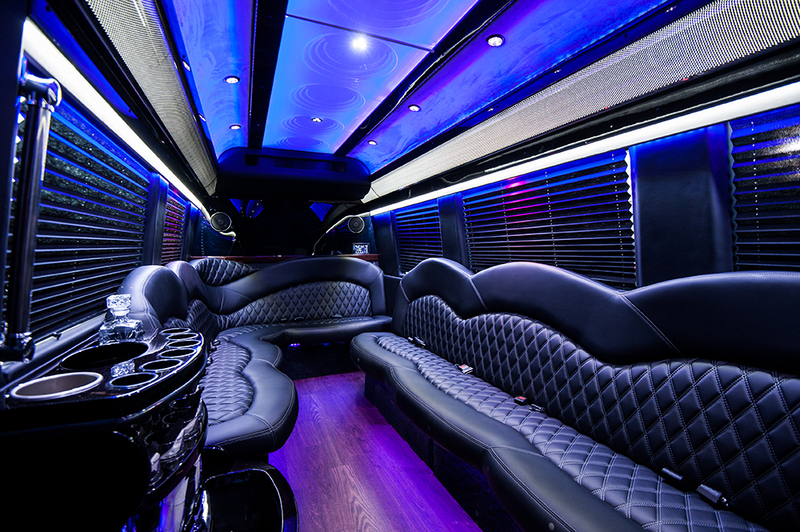 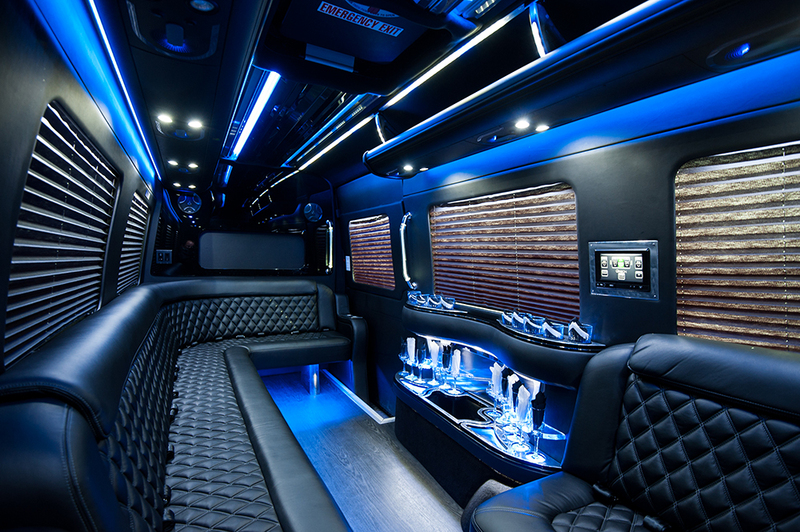 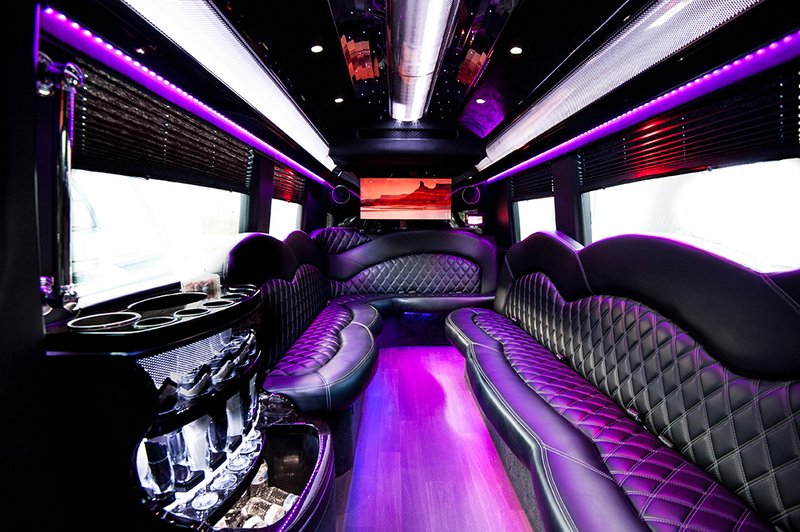 Much like our stretch limousines, the state-of-the-art amenities include color-changing fiber optic lighting, flat screen TVs with DVD player, Bluetooth for streaming music, USB ports for charging, glassware and a built-in cooler that we will stock with bottled water and ice.